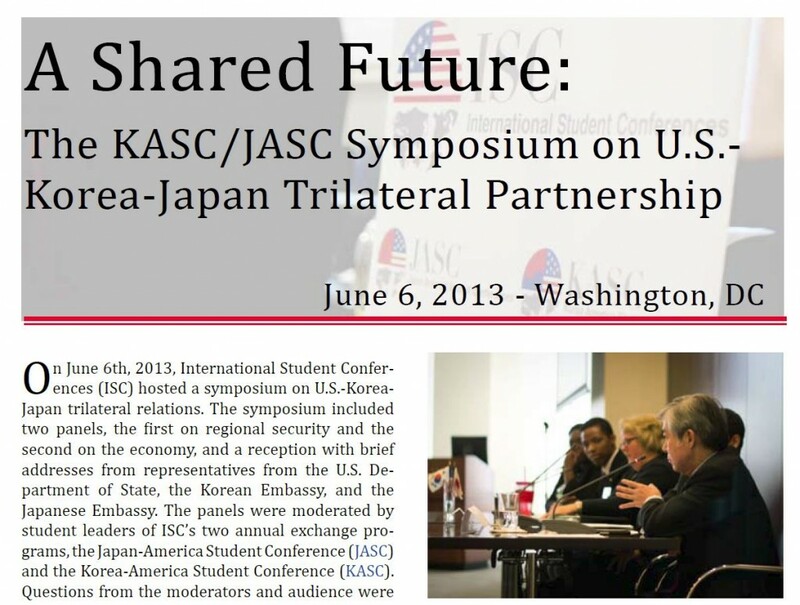 The 6th KASC ends with a successful Final Forum co-sponsored by the Korea International Trade Association! 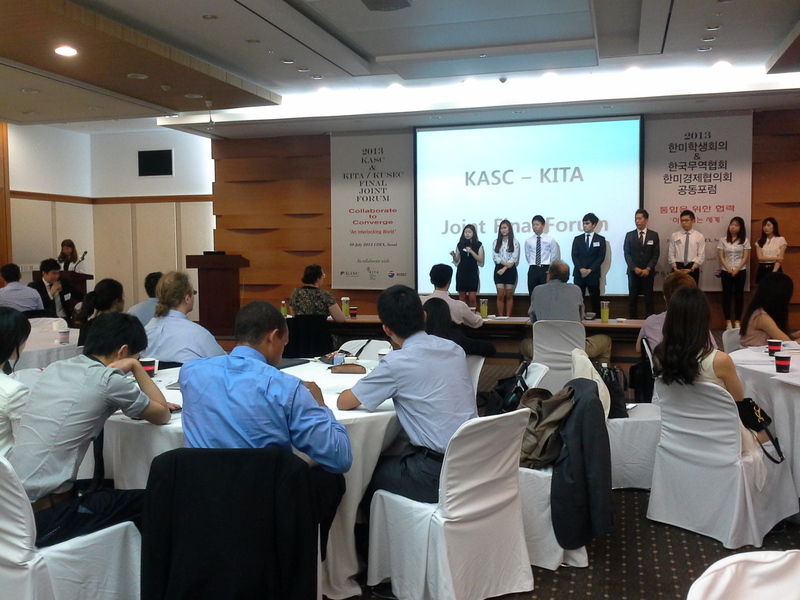 On July 31st, the 6th KASC hosted its Final Forum at Coex Convention Center, co-sponsored by the Korea International Trade Association (KITA). 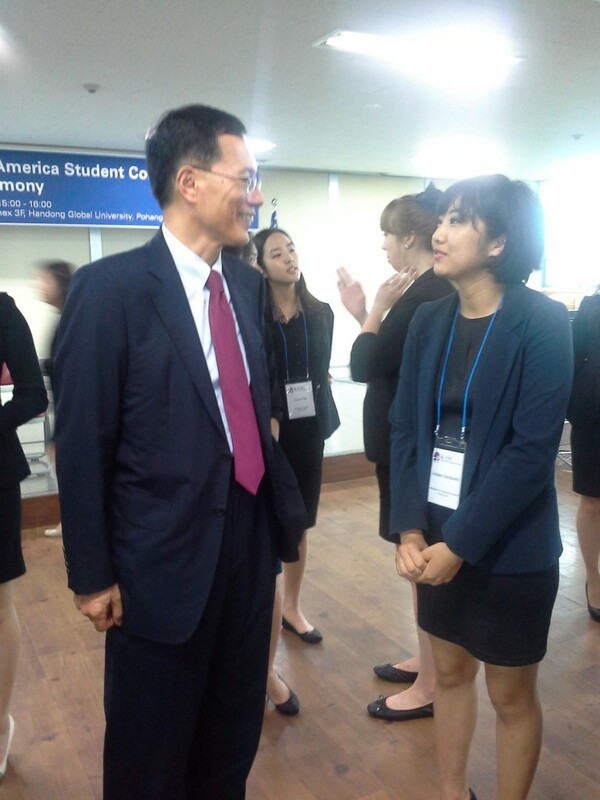 6th KASC delegates and KITA’s Goodwill Ambassador students presented various U.S.-Korea related topics, including Peace and Security, Environmental Law, Art and Culture, and Business. Kevin Kim, member of ISC Board of Directors, delivered a warm keynote speech reflecting back on his JASC experience and encouraged the 6th KASC delegates to stay in touch with fellow alumni and ISC in the future. A panel of experts were also invited to listen to the delegates’ presentations and offer feedback and suggestions. 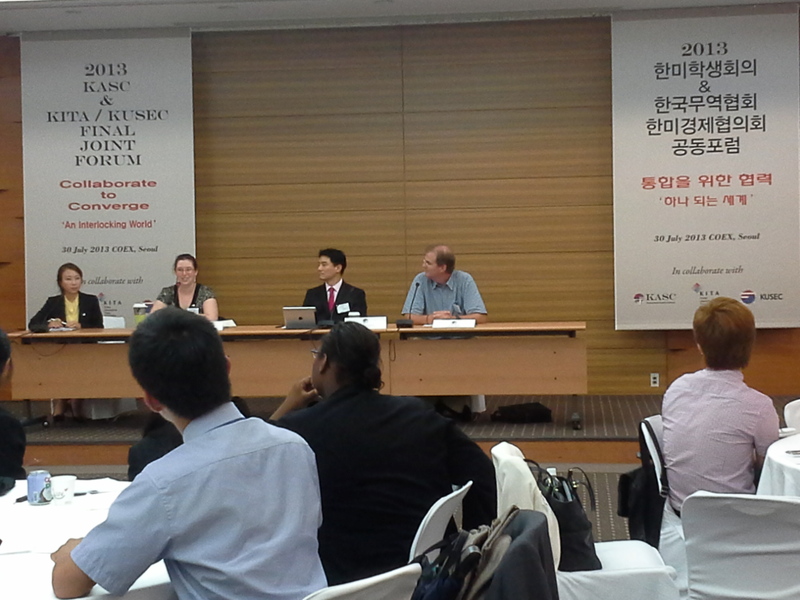 The invited panelists were Michelle Lee Jones, MA student at Seoul National University and JASC alumna, Dr. Bong Young-Shik, Asan Institute for Policy Studies, and Mr. Peter Beck, Asia Foundation. Yun-Kyung Chung (first to the left), a 6th KASC Korean Executive Committee member, moderates the final forum’s panel discussion with Michelle Lee Jones (Seoul National University), Dr. Bong Yong-Shik (Asan Institute for Policy Studies), and Mr. Peter Beck (Asia Foundation). Delegates listen to their peers’ presentations and feedback from the panel speakers. During Q&A sessions, the audience asked many questions to the presenters and the panel speakers, making the Final Forum very engaging and interesting from beginning to end. 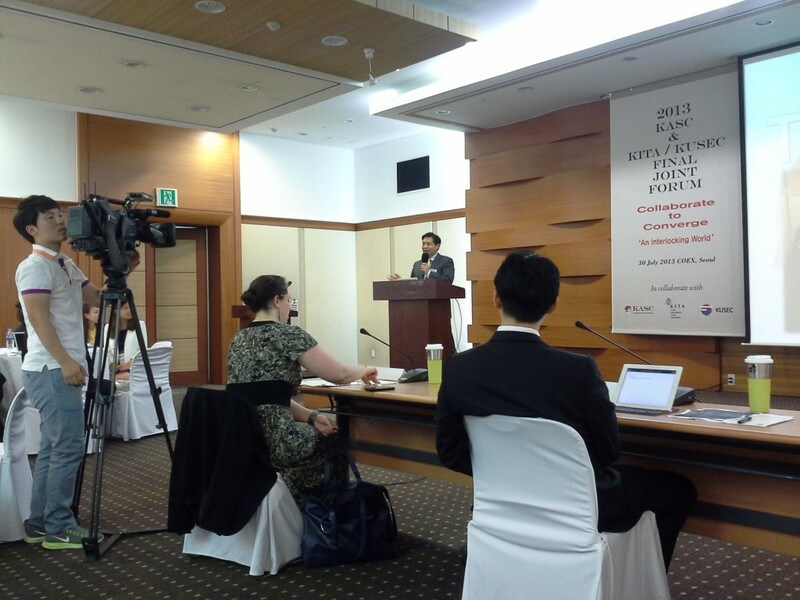 Notably, one Q&A session nearly became a debate when a member of the audience asked the 6th KASC Peace and Security Roundtable to give more specifics about its new recommended policy and the meaning of “trust politik” towards North Korea. This was a great opportunity for the delegates to further interact with the audience, and show the hard work and passion they had put into theirs roundtables throughout the month-long conference. The Forum was followed by a networking reception. 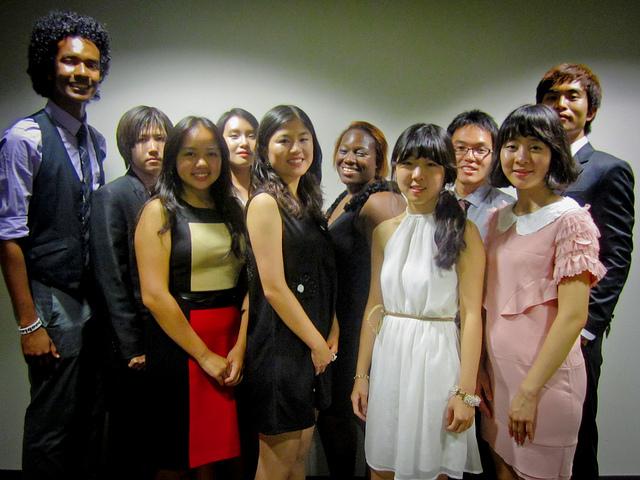 Delegates enjoyed a delicious buffet with alumni, guests, and supporters. On behalf of KASC, ISC would like to sincerely thank KITA for making this Final Forum such a success. 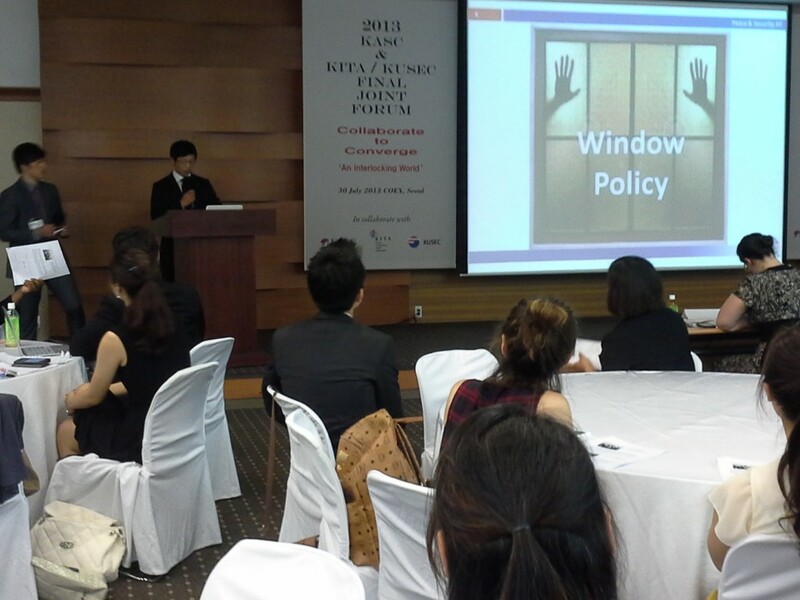 Sungju Lee from the Peace and Security roundtable presents the “Window Policy”, a new policy suggested by the group to better tackle the North Korea issue. 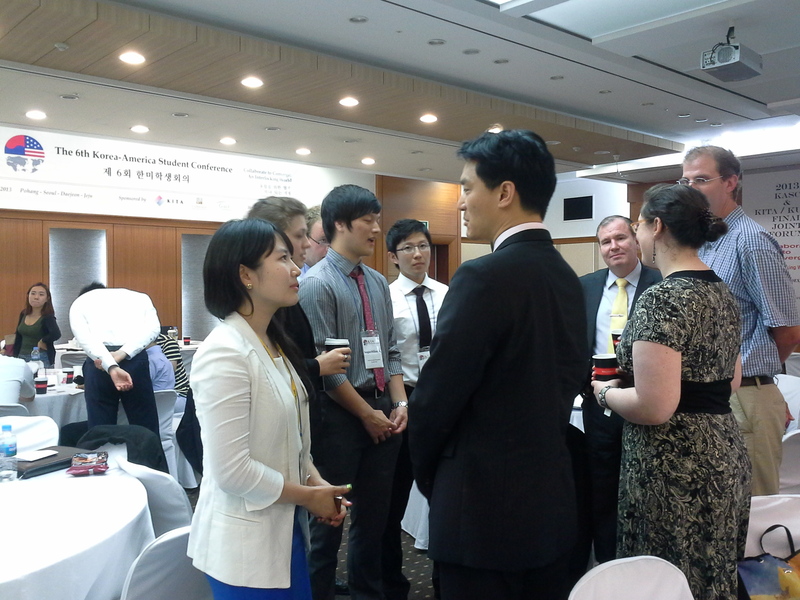 Delegates speak with panel speakers and guests at the reception after presenting their joint final findings. 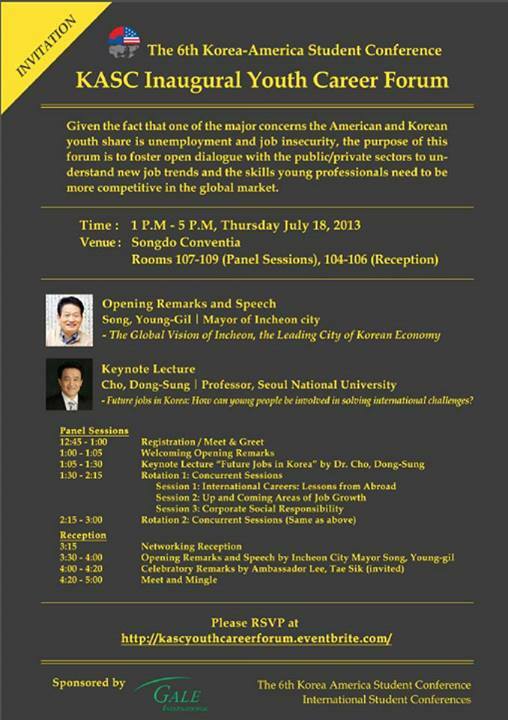 Our first ever KASC Youth Career Forum is on Thursday, July 18th at 1PM in the Songdo Convention Center! 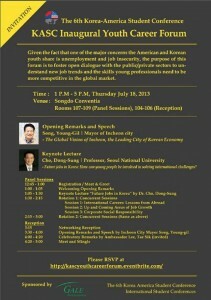 Please come and support this major event featuring Mayor Song of Incheon. Read the information on the event below. Please RSVP as soon as possible and we hope to see you there! KASC is on the News! 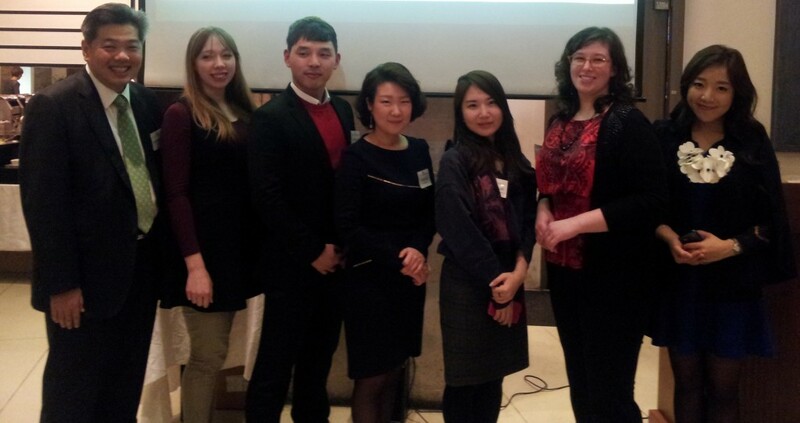 KASC is off to a great start with an article about our Opening ceremony at Handong Global University, Pohang. 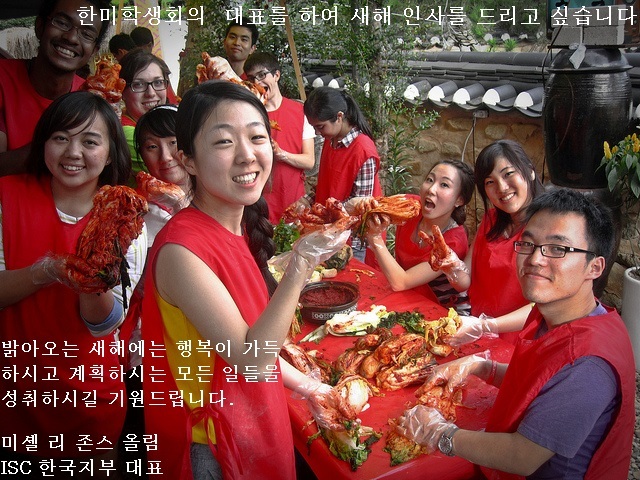 The 6th KASC has begun its journey in Pohang! 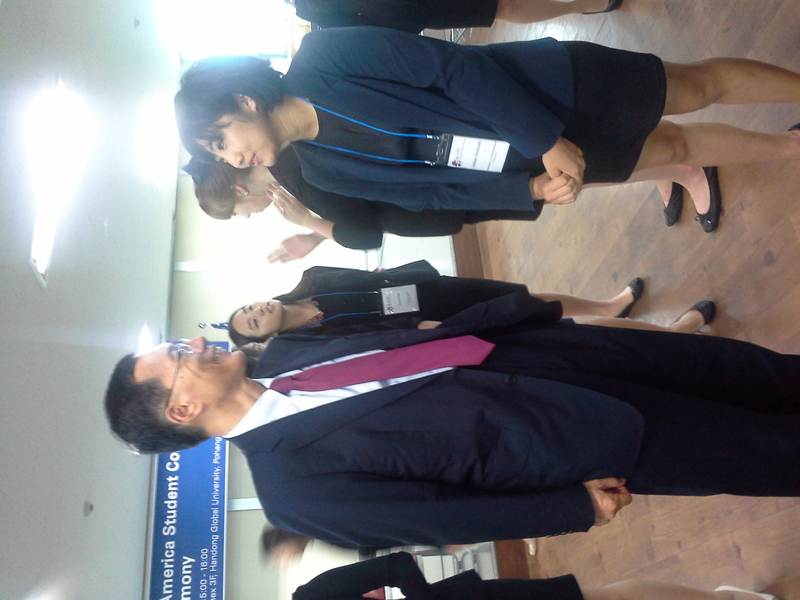 Opening ceremony was held in Handong Global University, led by both Korean and American Executive Committee Chairs. There were three welcome addresses by Mr. Jeong, Sang-Mo, a vice president for academic affairs of Handong University, Mr. Keong, Byeong-Yun, a deputy mayor of Pohang and Mr. Noh, Sung-Bum, a Managing Director of POSCO Research Institute. Above all, the keynote speaker, Dr. Choi, Do-Soung who is a vice president for Global Adcancement of Handong University, was especially inspiring and the reception was a delicious Korean buffet. 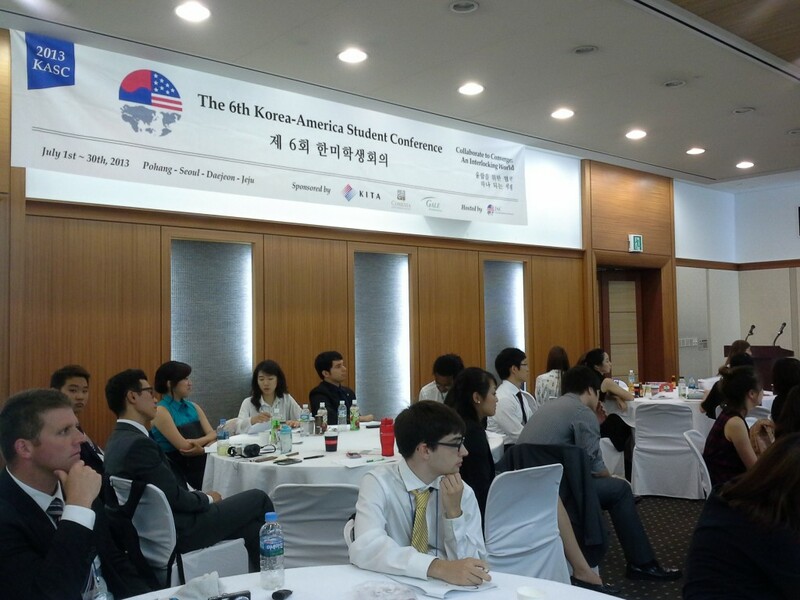 The 6th Korea-America Student Conference (KASC) is supported by Kim Jang Hwan, the CEO of CONEXIA Inc, who recently agreed to sponsor 6th KASC supply. He decided to support 6th KASC because he was impressed by KECs initiatives and visions to prepare for this summer’s conference. 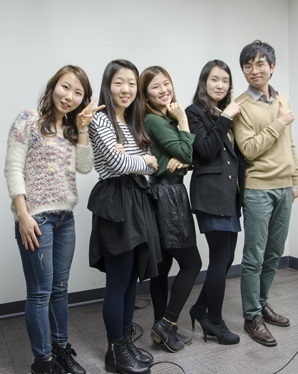 Please visit MICE news and read interviews with 6th KECs. For more information on the CONEXIA and learn more about MICE (Meeting, Incentives, Convention, and Exhibition) industry, please visit here.